Elements of CSG's Commencement have been in place since its founding. 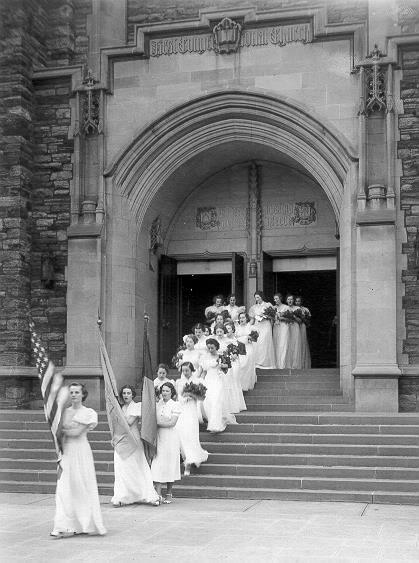 Seniors have worn white and carried bouquets of flowers since our first ceremony in 1899, accompanied in a formal procession by younger students and members of the faculty. 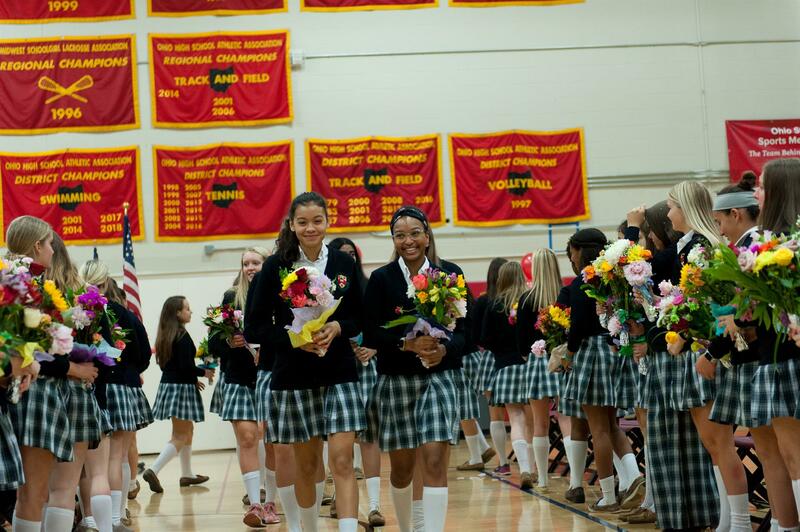 The traditional Service includes songs and readings that are a part of the school's history and also reflect the growth and diversity of Columbus School for Girls. Click HERE to watch the full Commencement Program! The CSG Class of 2018 includes 49 graduates who were offered a total of $7,259,005 in scholarship awards. They will attend 34 colleges and universities in 14 states. Click HERE to see where the Class of 2018 is headed for college! Are you running for office at the local, state, or national level? Do you know a CSG alumna who is running for office? 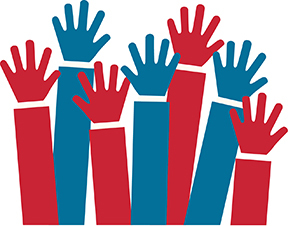 We are gathering a list of all CSG alumnae running for office in the upcoming elections. Please complete this online form and let us know who you are, where you are running, and how we can learn more. I am an alumna running for office! I know an alumna running for office! 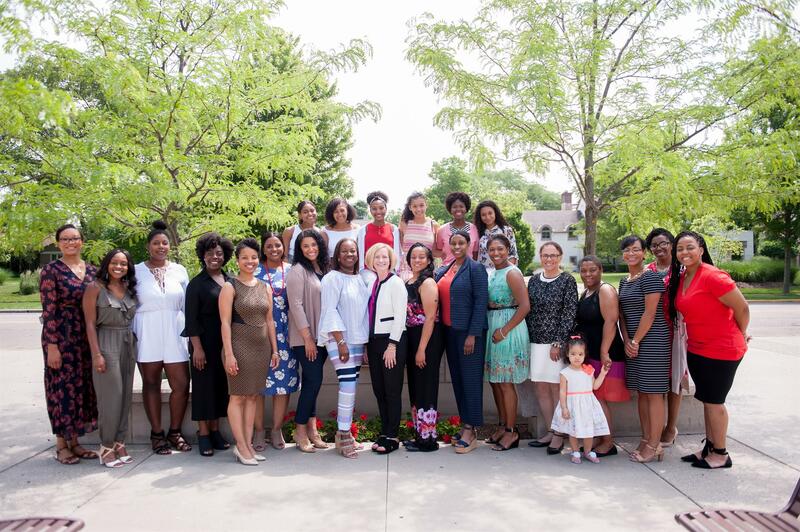 On Saturday, June 2nd, CSG's Diversity Committee, I.D.E.A (Inclusion, Diversity, Equity, and Advocacy) hosted the 2018 Leader's Launch Brunch honoring 2018 graduates of African descent. Alumnae Krissy Fenner '97, Sadiyah Babatunde '17 and Carlotta Penn '99 delivered poignant and impactful life lessons in both word and song. Thank you to all who were involved in a wonderful celebration! Click HERE to view the photos from the event! We have reached mid-June at CSG, which means students have recessed for the summer. But before we close the books on another year, we have some work to do! This year, CSG has committed to raise the bar for alumnae participation in Annual Giving. Alumnae are the strongest force at CSG, with over 2,100 alumnae living worldwide. This is a tangible way for us to impact the lives of the girls who follow our footsteps! Thank you to all who have already made their annual gift to CSG. For those who have yet to make their gift: We only need 68 gifts to reach our goal! You can make your gift online through our secure website by clicking the red button to the right, or by mailing your gift to Columbus School for Girls. To count for this school year, gifts should be made before June 30, 2018.